It’s been a while since I updated my comic build blog. Blame it on the workload required to actually complete this project. Which is a lot of work, believe me. Which I still find incredibly enjoyable despite all that. I’m one of those guys that devotes ALL of his attention to the task at hand, so dividing that kind of focus from my comic work to writing means one of the two things is bound to suffer and for me, the comic work is higher on my list of priorities for now. Currently as I write this, the book is still undergoing its colouring phase. I’m taking it slow and steady in this final stage because this is where the real magic happens. It’ll take as long as it takes. I’ll only move onto the next page once I’m reasonably satisfied with how the current page looks in colour. So why colour? Why not just leave the book in black&white?? Afterall, it already looks good in black&white. ANY comic looks ten times better in colour compared to their black&white counterparts.Reality of things is that people are much more likely to check out the badly drawn full colour comic compared to another nicely drawn one in black&white. I can hear the arguments coming. But before you unleash hell on me, hear me out. Maybe after listening to me, you might end up changing your mind. And that’s a big maybe if you’re a die hard black&white fan. Think of it like this, black and white art is like a black and white screen television while the full colour art is like the colour screen television we are so used to using in many of our homes. Which one do you prefer, and don’t you dare lie to yourself. Colour beats black&white any day simply because of the fact that it’s more attractive. Heck even my own comic art looks far better in colour than it does in black&white! Here’s a sneak peak at the last page I worked on, page 18 of my book. Colour does a lot of things for the comic. One of the critical things I noticed about colour is it helped make parts and sections of the art much clearer that weren’t noticeable while the art was in its black&white state. I’d get an independent party to scrutinize one of my pages and it would take them a minute or two to notice bits I wanted them to see immediately. That really irked me, but colour quickly remedied that issue because I could now easily create a center of interest using colour and guide their eyes where I wanted. Granted I did take some measures before utilizing colour within my art such as simplifying the said art because I did not want colour to become a tool for covering up mistakes like most people seem to do. 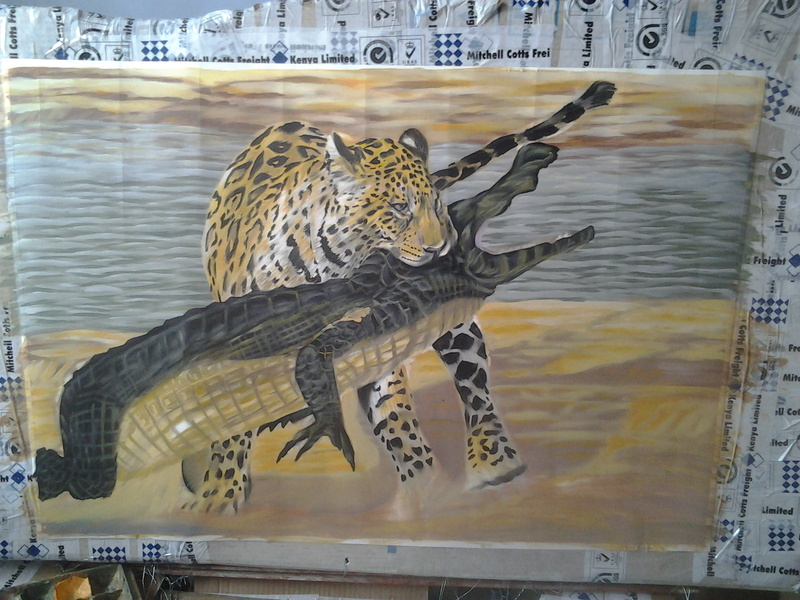 One of the other critical things it does is it makes the art much more realistic. Think about it, we associate colour with certain objects and feelings. You use colour to set the mood of your page much more clearly compared to a black and white page, something you can’t really do in black&white, unless you’re really good at playing with light and shadows. Which to be honest, most of us aren’t. But hopefully,were working towards that aren’t we? I hope so. But colour on its own isn’t invincible, it needs the black&white art. 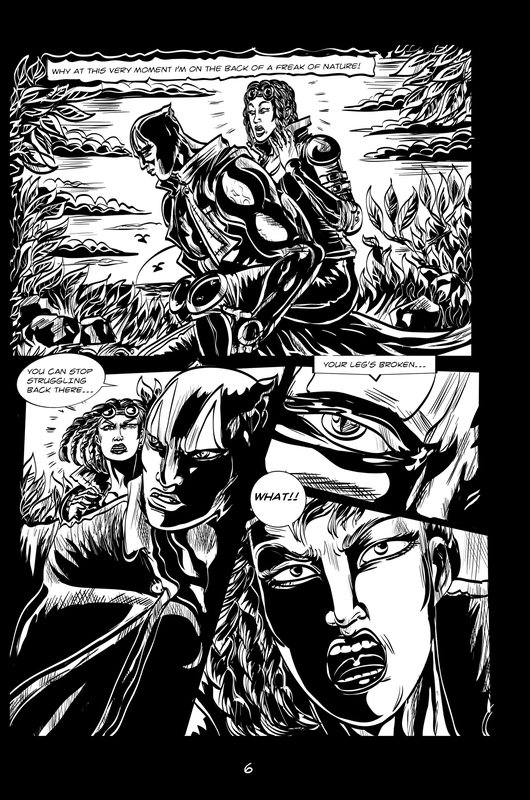 This black&white art is the heart of the comic. It is the Adam to the Eve that is colour. Which brings me back to my main aim of this particular article. And if you haven’t guessed it by now, it isn’t just about colour. 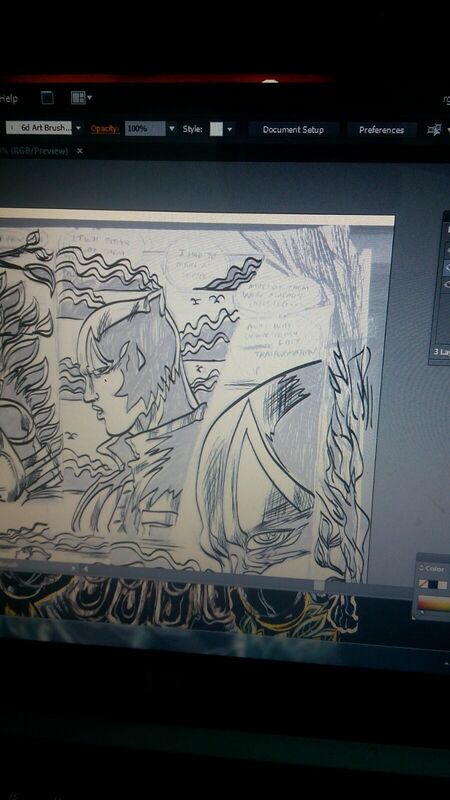 It’s also about inking ,which is the next step after the sketching phase. I’ll write another article about colour soon, ofcourse as I keep working on the book. For now, the spotlight is on inking. The first time I ever heard that term ,I thought about ink being splashed all over paper like the way kids do back in kindergarden or nursery school as we call it over here in Kenya. Kids just kind of dip their hands in a bowl of ink and plaster those same hands onto paper creating these ink impressions of their little hands. Adorable huh? We’ll I realized I was being silly imagining all that humdrum stuff so I turned to the greatest source of information right now. The internet. And boy did I find out how misguided my imaginations were! Inking is a big part of the black&white world. Infact cancel that, it IS the black&white world. 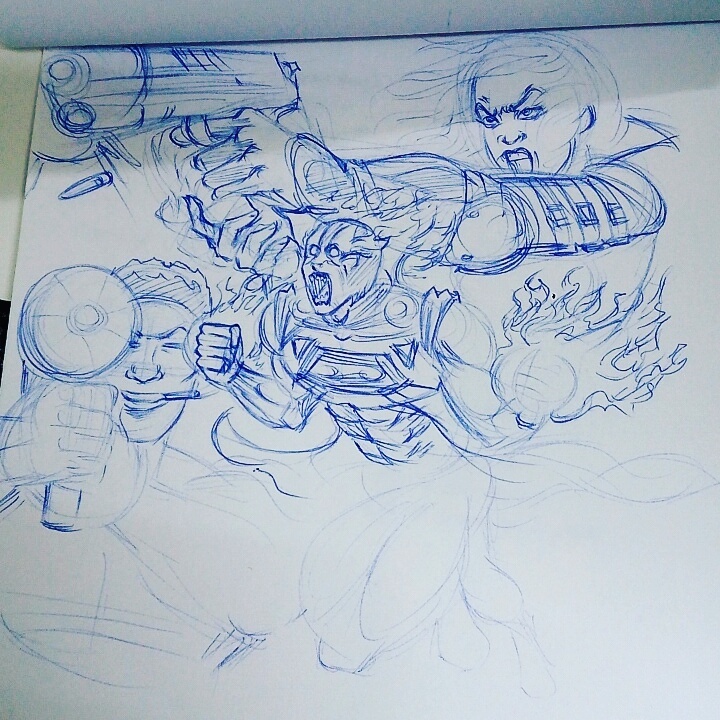 There are so many articles online about inking that my blog would not even come near to scratching the surface on that topic, so I’ll just cover the basics because my comic blog isn’t necessarily a tutorial of how to make a comic but rather how I myself made mine and the stages i went through to get here. Don’t expect any indepth instructions on how to use design and comic softwares from me because if you’re reading this, you must have some level of competency in using said software if you plan to succeed in making your own comic. So go check out articles online on the topic to learn more detailed information about that. Now that we have that out of the way, here’s my understanding of inking. Inking according to me is more of a process of making the sketches much more bold, clearer, and truth be told ; much better. Notice that in the image I dimmed down the sketch layer to use it as a guide for my new line art. I opened up a new layer, selected an inking brush from the brush library in my drawing software and proceeded to lay out new line art over my sketch art. 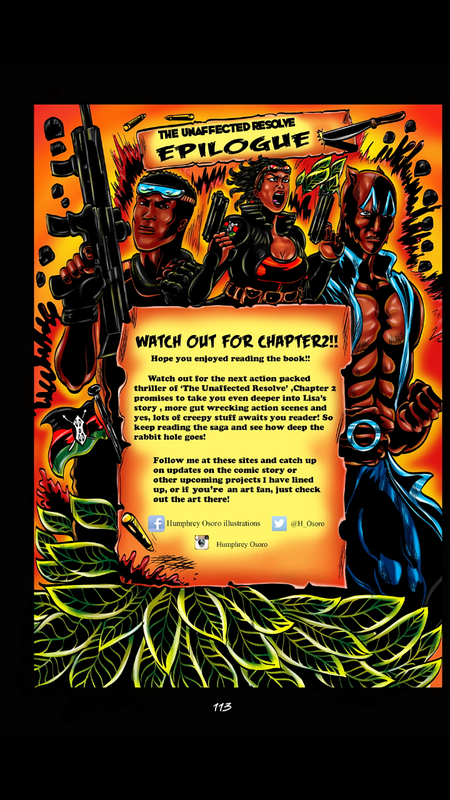 In case you’re trying to figure out what page of the book that is, I suggest you head over to the 254comics website link below and buy yourself a copy. Easy as that! Okay, back to business. We were still on the topic of softwares. Computer softwares like Adobe Photoshop ,Adobe Illustrator and Manga Studio just to mention a few because there are so many digital drawing options out there ; make for really good comic drawing companions. In this case I personally used illustrator. Just like I talked about in the image above, inking in the line art is basically repeating your lines in your sketch image but with much bolder lines. 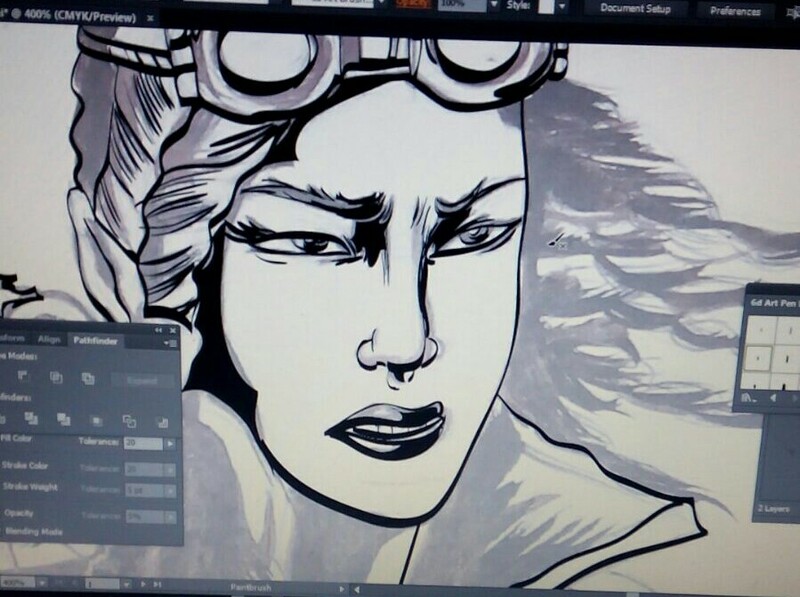 Here you get to smoothen out the bits and lines you didn’t like in the original image, a good example is this image of the face of one of my book’s main characters, Lisa Sagini. Notice how much smoother the lines on her face are and how much darker and bolder they are. That’s what inking does. It replaces the light pencil like nature of sketches with dark bold lines. It’s what makes the work look more professional because it gives off a more refined impression of your art when someone looks at it. So work on those lines, smoothen them out. Avoid the shaky and fuzzy lines unless that’s the kind of look you’re going for. Here’s what that particular sketch ended up looking like when I was done with it. It was one of my first concept arts before the book so bear with me in case it isn’t at par with my current art. But inking line art isn’t just about drawing out the lines, you must remember that you are creating art hence the rules of art apply. You must employ the elements and principles of art. Include different methods of shading , mix thick lines with thin ones etc. You know what’s required. Now inking in shadows is a bit of a controversial topic because every artist has their own technique of going about it. I myself use a different technique, so don’t necessarily use mine. Find out what kind of styles are out there, then choose what works for you. 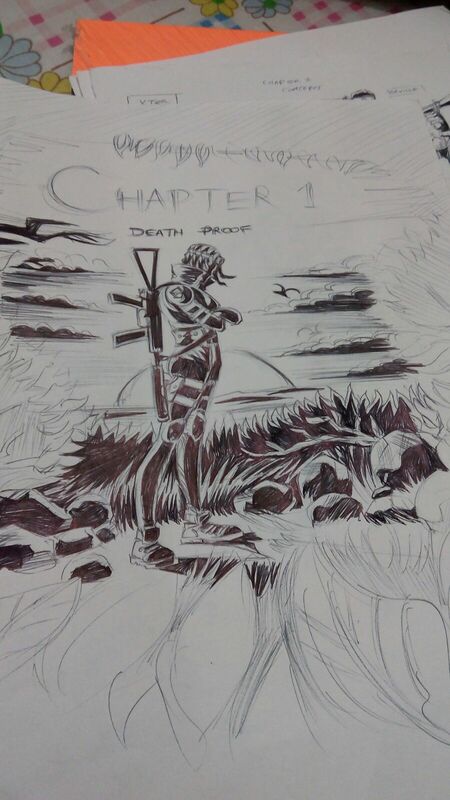 For me, dropping in the shadows comes much earlier even before the inking stage. I do it in my sketching stage. I sort of create maps of where I want shadows and then take the dive by filling them in. Here’s what one of my inked sketches looks like. I’ve left that particular page incomplete so that you can see where exactly the maps are and where the inks and shadows go in. And no, I won’t talk about how to sketch out action scenes, not right now anyway. That’s a whole other article for another day. I’ll keep covering such stuff as I work on the book. The book itself is a really long series, so expect to find images of sketches you might not get to see in the current available book. 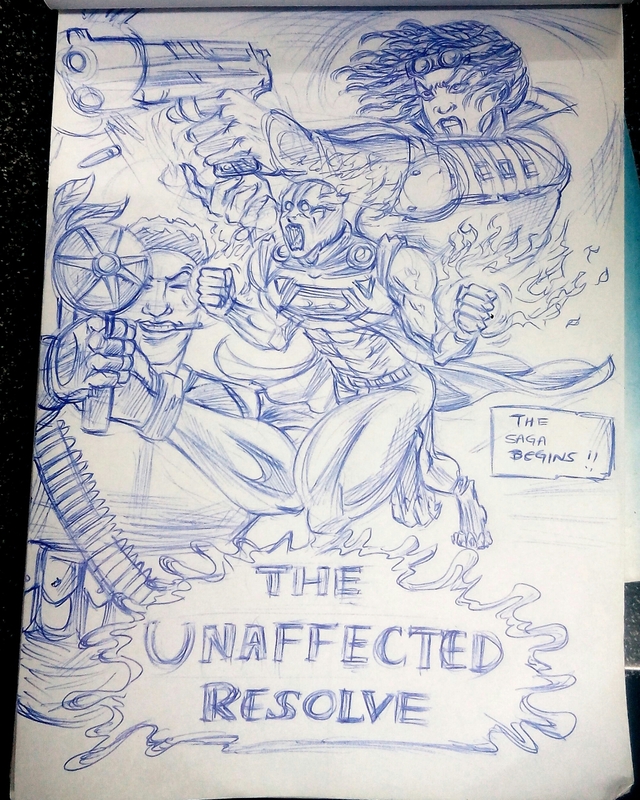 It just means you’ve got to keep following the series as it unfolds to find out what they mean and how exactly they fit into the storyline of “The Unaffected Resolve“. So hang in there reader! Digitally dropping in the shadows is a whole other monster by itself. But if you followed the previous steps where you set up your maps correctly, lay out your inked line art then it becomes easier from there. From there all you have to do is now drop in the inks. Which is a bit tedious by the way because you have to follow every individual map you created and carefully fill in the inks making sure you don’t spill any of it outside the map’s bounderies. To do this, I used the lasso tool and after selecting all the maps I filled them with black colour. Just like that, and you’re done! Here’s what one of my pages looks like after both steps. I’ll use a familiar image for this demonstration, my book’s chapter page. Here it is below. Fast forward to the colouring phase and you end up with this. There’s also a 254comics phone application for those of you who prefer reading comics from their phones. That’s it for now, so until then, keep making some comic art! Most times people tend to move beyond the sketching stage and straight into the inking stage of making a comic, that’s a big mistake. Why? Well here’s why. Comics require a team of expertise to blossom into a reality. Be warned, it’s no walk in the park, especially if you’re an indie comic artist like I am, and a beginner at that! Being alone in the making of the book meant I had to become all of these people at once. This is the person who writes the story. Without this guy, then the story has no direction. This is the guy who determines what those characters in your book will look like and how they behave. This is the guy who draws out pencil sketches and illustrations for the book.I consider this one of the most critical roles in making the book since comics are a visual medium, so the illustrations have to meet that recommended level. 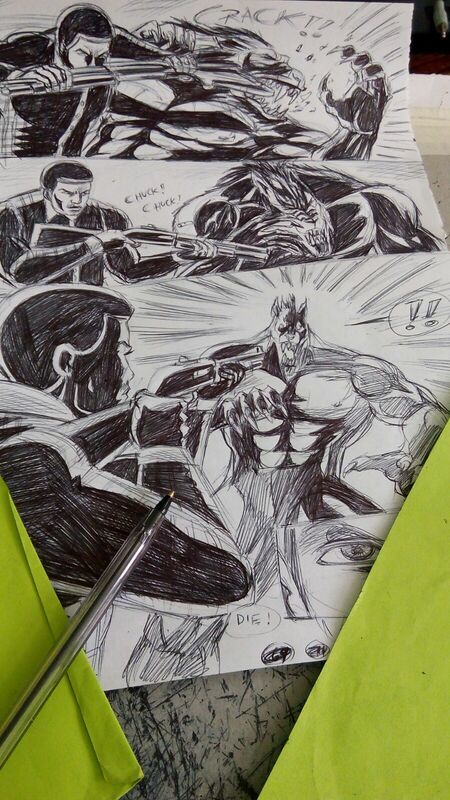 Now this guy inks out the lineart that the penciler makes. This person is the one that determines what amount of shadows go where and how thick those final lines will look. This role is also equally critical since it will make or break the book. This person is in charge of colouring in the illustrations for the book. Another critical role that’s both time consuming and challenging. This person is in charge of all the lettering of the book. It might seem like a minor role at first but when you compare a book with bad lettering with one with good lettering, you’ll know what I’m talking about. Closeup of lettering within the book. Aside from the roles I’ve mentioned above, one shouldn’t move to the next stage before strengthening their artistic ability first. It’s more like warming up for an exercise. Before one can go to perform a high intensity exercise regime, you’ve first got to warm up. Failure to that means you risk picking up injuries during your work out session. Get a good understanding of how traditional art techniques work. Challenge yourself . I did a lot of traditional arts before i moved onto the next stages before finally entering the digital stage. Call it warming up, that way you won’t see it as a waste of time. Attitude is everything. Remember that your book is going to benefit from those activities whenever you feel like quiting. So forge ahead. 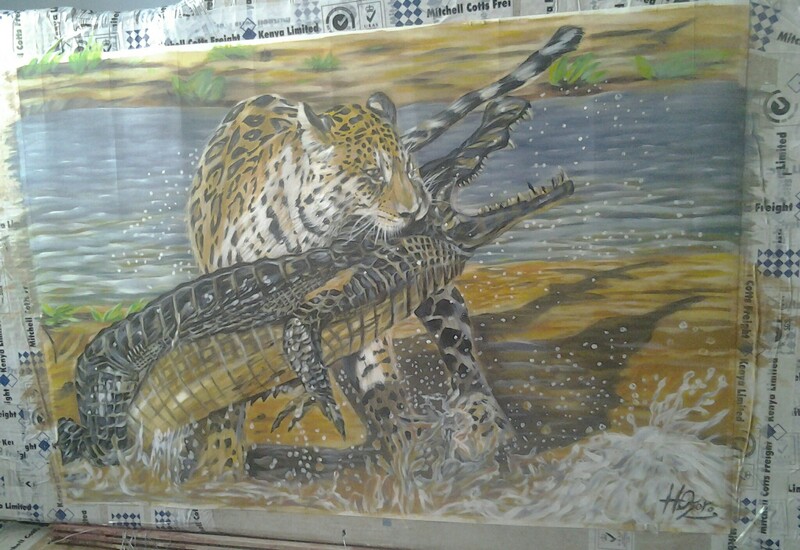 Within my concept art/sketching stage, I did some paintings. I recommend paintings highly because they teach you how light and colours work within a picture. Comic books are paintings by nature, just with word bubbles and literature added into the mix. 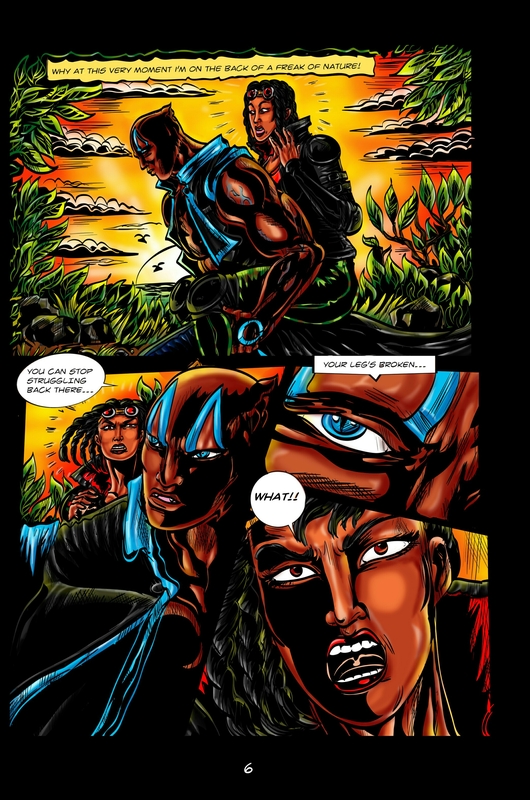 So if you can paint, then creating a reasonable comic page shouldn’t be so hard. The same concept applies in comics. Step3-Detailing, here details begin to be added onto the flat colors. 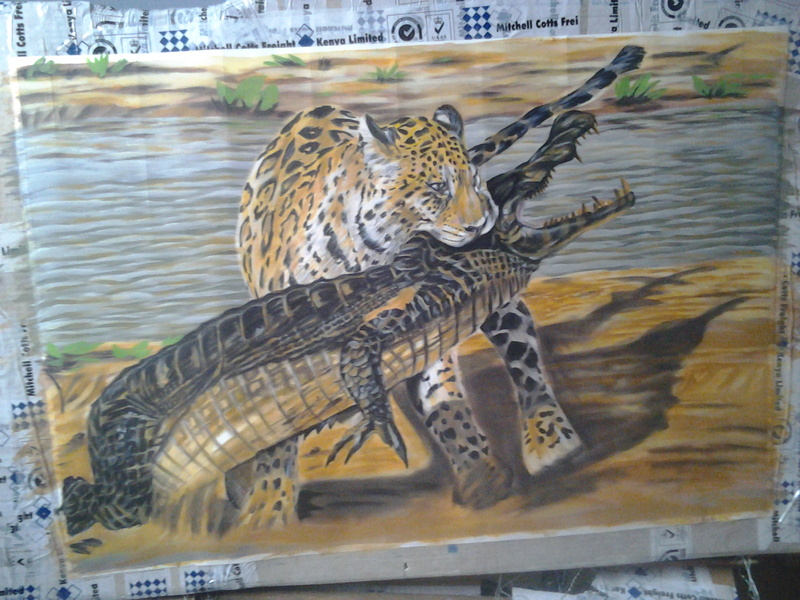 Step4- Jaguar and croc all done! Basically that’s how it’s done, so get out there and warm up! That’s it for today, check out my Facebook page and Instagram for more of my art. 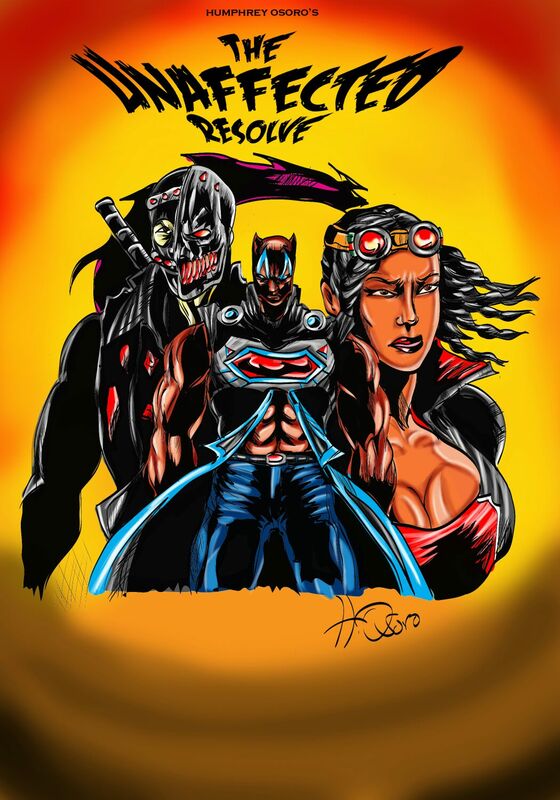 I’m in the final colouring phase of my book “The Unaffected Resolve-Chapter 1” (114 pages) and all I can say for now is it’s been a long and interesting journey getting here. A lot of blood and sweat has gone into this project of mine, and I’ve enjoyed every minute of it. Yes, even the late nights when I’d rather sleep than draw anything. For those trying times I chose to spend them infront of my computer correcting some of the many glaring mistakes bound to be present for anyone making their first book. I found ways to stay motivated and finish the book. 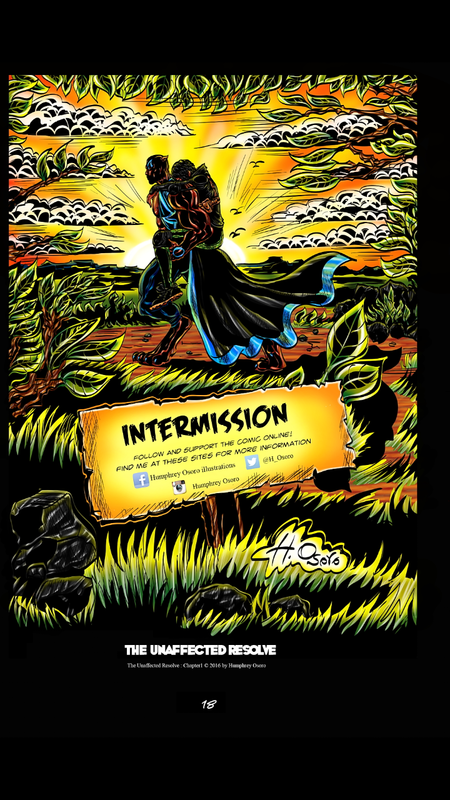 Part 1 of the book is available online in black&white (30pages) on the 254comics website https://www.254comics.com/comics/unaffectedresolve_1 . 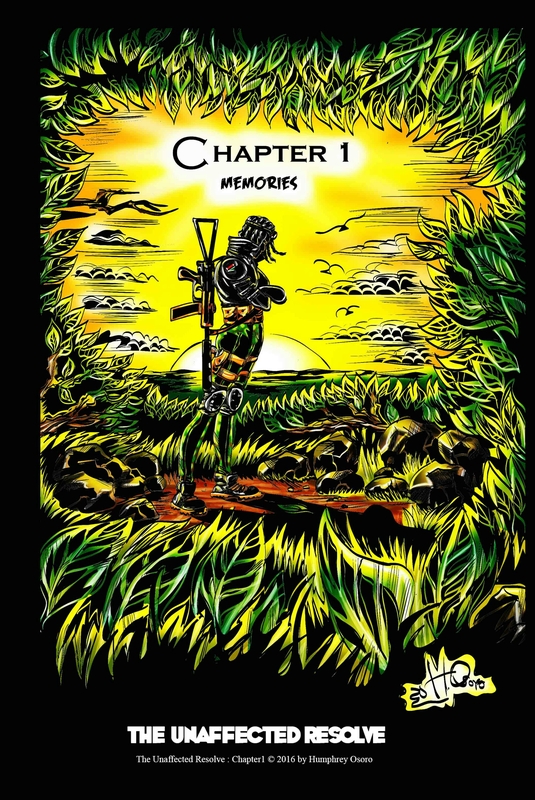 Make sure to check it out and buy yourself a copy. I think the most overlooked part of this process is in the beginning. A little something called sketching. I talked about it in my earlier post, but it’s an incredibly wide topic. I’ll do my best to summarize it in as few words as possible. 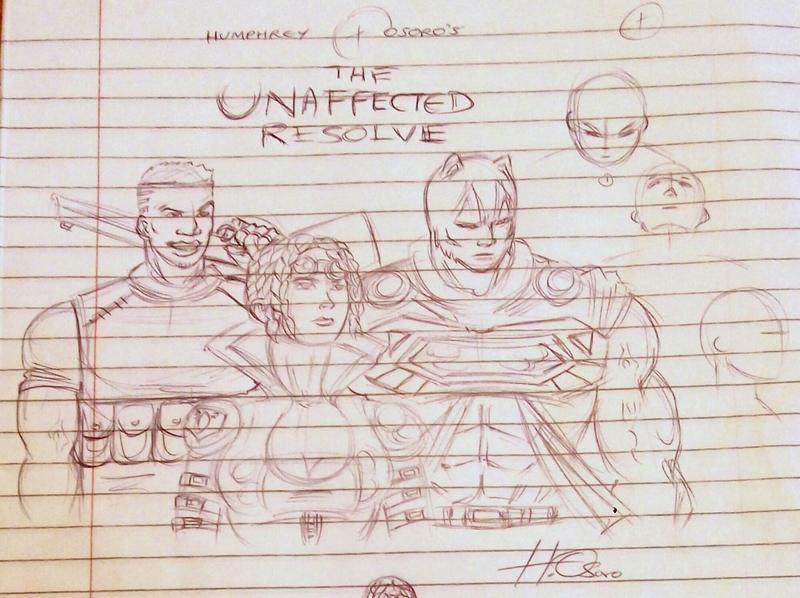 There is literally no excuse on why anyone thinking of undertaking comics isn’t sketching regularly. Sketching can be done on any kind of paper available to you, so it is inexpensive in itself. Seriously, I’ve seen guys sketch on tissue paper and produce some really good art.There really is no excuse for not doing it, excuses such as saying you don’t have time for it don’t count. Make time for it. On your lunch break, Before you head off to sleep, While you wait for that lecture to start or when you finish your activities for the day early etc. 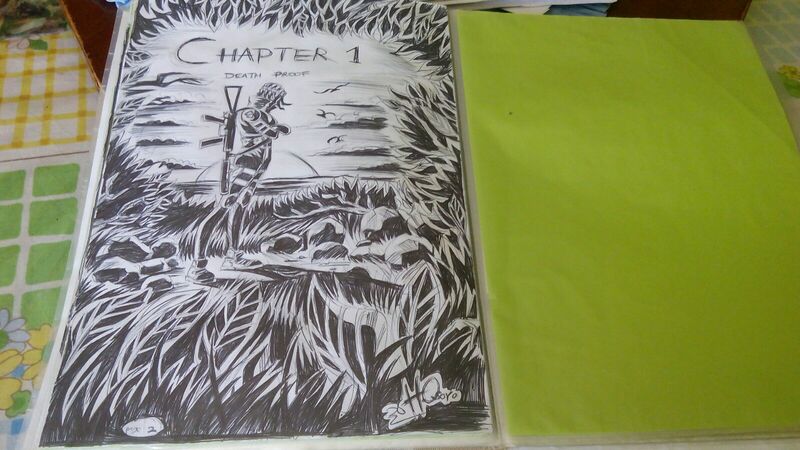 I started out small and ended up with files full of sketches that really helped guide the making of the book. The list is endless on opportunities one can take to do that one simple thing. Sketch. Pick any blank page from a book and sketch something. Buy a sketchbook if need be. Make it a habit. The more you do it, the easier it will be to create continuous pages of comic art. I’ll just put this out there for anyone thinking of diving into the comics industry. Your sketching game must be on point. You must be able to draw literally anything from any possible angle. That’s right, I said it. Why? Well let me tell you exactly why that is. Think of your comic like a movie. There are things called camera angles, and you’re the director controlling said angles. There’s the bird’s eye view angle where the camera focuses on the point of interest from above the said object, it’s usually used to capture a scenery or to depict weaker and smaller characters in a scene. There’s the worm’s eye view that focuses on the point of interest from below the said object, used to depict imposing characters or figures.There is the close-up view that zooms in on a particular point of interest, usually used to depict a specific action, such as the emotion in a character’s face. I could go on and on about camera angles, but that’s a whole other article for another day. Point is, do your research before starting anything. You don’t have to be the best illustrator out there (P.S- There are many awesome talents out there) ,but that’s no excuse for not making good art. Like it or not you’re competing against these guys, and you will be judged according to the content you produce. The reader is the judge, so you better hope their verdict falls in your favour. Pick books on various topics (anatomy,animals, machines etc) and practice drawing what you see. Try everything possible to get yourself to an acceptable level of drawing competency. 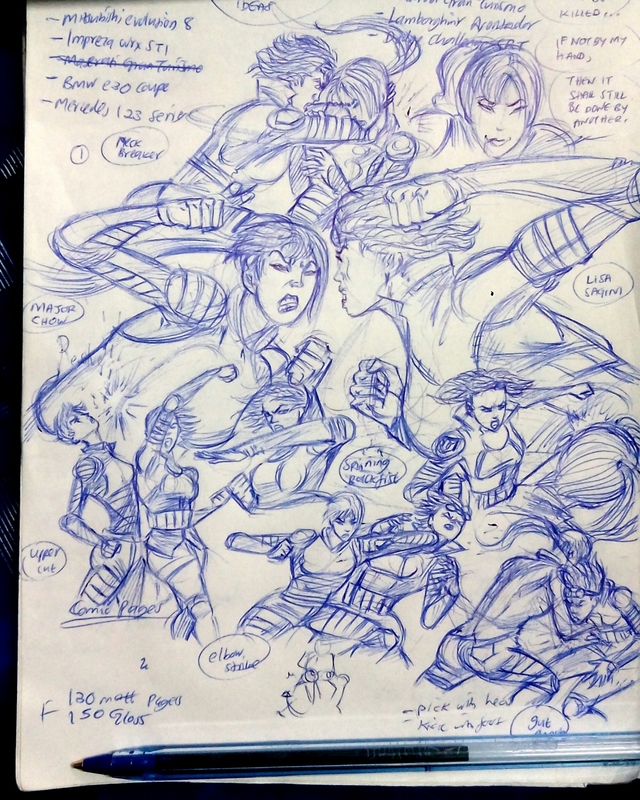 A sketch can make or break your comic art. 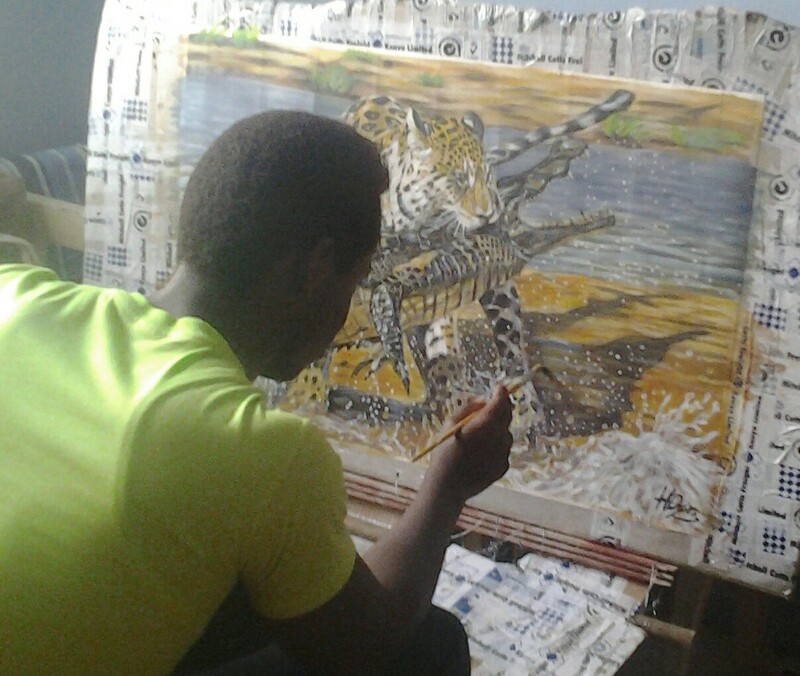 A sketch is like a skeleton, the skeleton has to be there to support the flesh. A good skeleton means the person or creature will have a stable form when flesh is formed around it. Likewise a deformed skeleton means that the person or creature will have a deformed shape. So a good sketch stands a higher chance of ending up as an attractive art work/illustration while a deformed sketch will ultimately mirror the deformity in its final stage. Keep your sketches simple and loose while you work on capturing the camera angles in your book. That way you won’t burn out ,which is what usually happens when you strain to include every possible detail within your artwork while still under pressure to produce more pages.You will also save time and be able to speed through the sketching stage. Come up with a work plan , in my case I’d do around 4 pages loosely, then later go back and add in the necessary details. By adding in the details, you save the ideas you initially had in mind. You don’t have to add in all the details at this points, but I’d recommend doing so if you don’t want to waste time next time since you’ll still have to go back and add in those details. 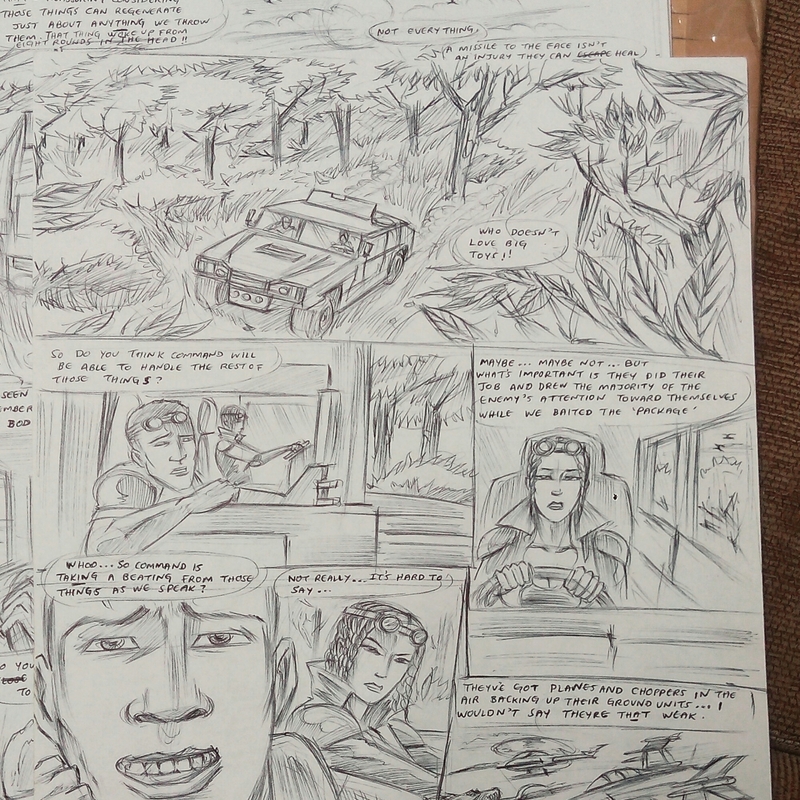 A comic page does not need to be heavily detailed , but it still needs to be reasonably detailed. Put too little detail and people notice. No one likes laziness in comic art, I know I don’t. I try my best to add in details where I deem necessary since some scenes require less details while some require a huge amount of it. It’s basically a delicate balance between the two. Details greatly break monotony. 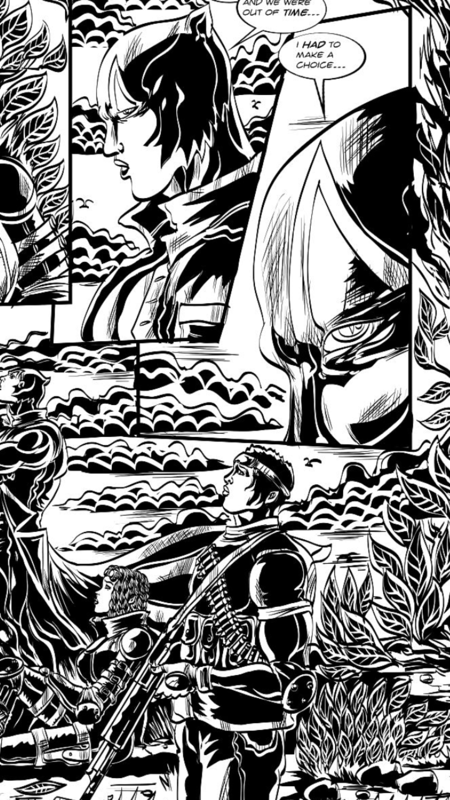 It gives the mind something to think about, and if the reader is going to go through pages of your art then you need to include a reasonable amount of detail to keep them engaged.So draw the damn background already! Put too much detail and the center of interest in your sketch is lost within all the muck. Create a center of interest by limiting most of that detail on the point you want focus on. Fade out the background by reducing details on them. Expand the size of objects in the foreground to direct the focus of the eye onto them. Too much detail also tends to bog down the mind with too much information .The reader will quickly tire of trying to process all that information at once after a few pages, so limit it to the amount of detail you need to pass your message effectively. We are all a work in progress, even the best guys in the comic business still struggle with something. So don’t beat yourself up if your sketches look like something resembling stick figures, all good sketches originate from those same stick figures. So improve on your sketching game before moving onto the next step. Until next time, cheers! Way back in high school I had this great idea of doing an editorial cartoon strip section for the school magazine but due to the strict rules and regulations at the time, the thing didn’t really take off.Blame it on the system. Funny enough in the underground world ,the guys loved this thing. This cartoon strip called “Demolishon” ,which is literally where I demolish all the weird stuff I observed in a day to day basis while surviving the many hurdles of high school life. Demolishon was a way for me to speak out against some of the strange and negative stuff I saw without directly offending the person responsible. It was a creative way of teaching this person not to engage in whatever they were doing. Guys would laugh at the funny illustrations but at the end of the day still gain a lesson or two from them. I still enjoy making people laugh though, here’s the first of my editorial cartoon strips titled “Demolishon“, aimed at addressing some of the vices in society, and of course to tickle your ribs wherever possible Enjoy! The hardest part about making the book was actually starting. Funny huh? 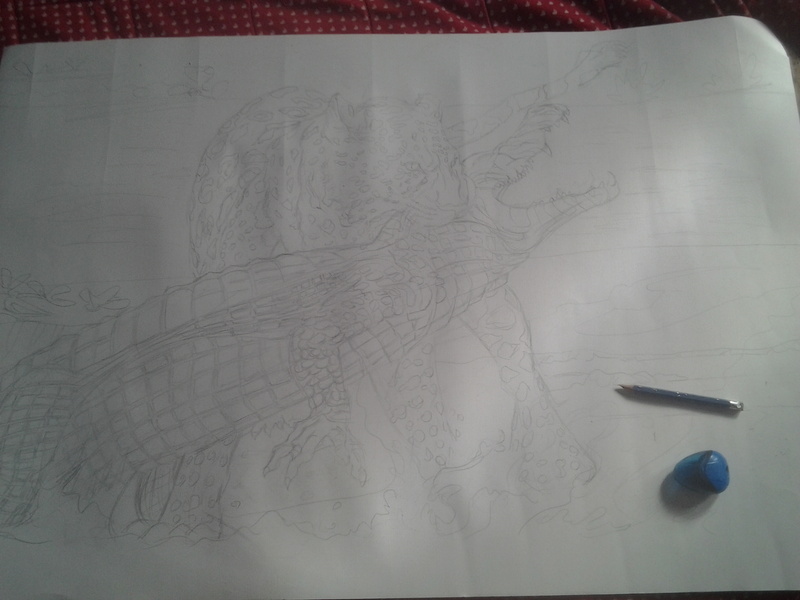 People usually assume that the drawing part is the hardest but in real sense, it’s the beginning that’s the biggest hurdle one has to overcome. 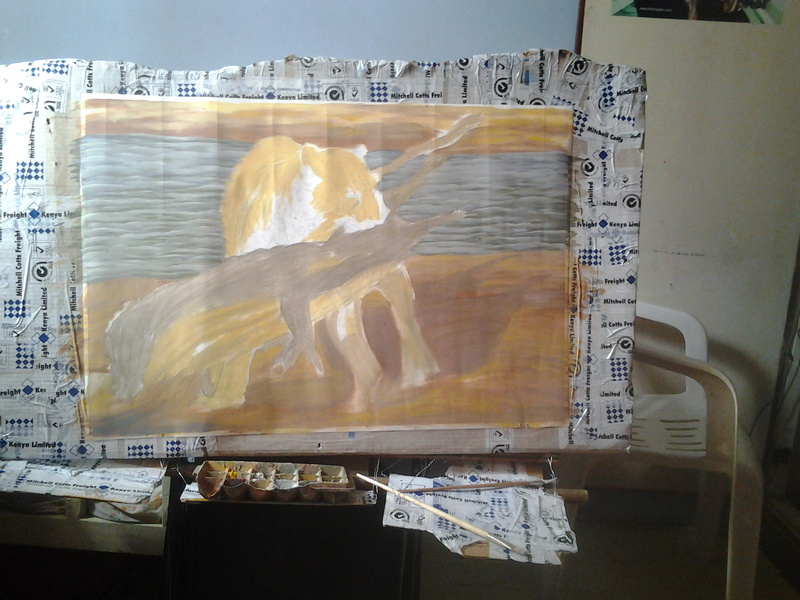 In the initial stage, you’ll find yourself sitting alone in your studio (or room if you aren’t heavy pocketwise), just staring at the ceiling trying to come up with that bright idea for your book. A lot of times you’ll end up doubting yourself saying things like “Oh, that’s cliche”, “That’s already been done” but such thinking ends up being self contradicting and drains the creative energy from you. What you should be thinking is “How can I make my idea stand out?” And most importantly, “Is the book I want to make the one I want to read?” Those are the questions I asked myself before starting on the book. First step is writing the damn thing. Stop the procrastination already! Lots of people I’ve met keep saying they’ll make a book and yet haven’t. I’ve been there too. For me I had some really good friends that called me out on my laziness. Sorround yourself with people like that. I spent months writing out scripts for the book. The story itself has to flow smoothly, so you’d better sit down infront of your computer and keep typing than lose focus and get stuck drawing aimlessly in future. 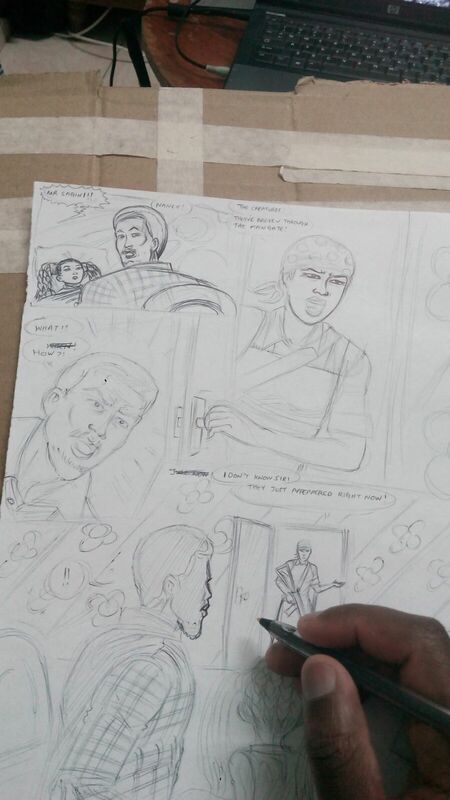 Without a script, drawing the comic art is pointless because it has no direction. For an artist, writing a script is in my opinion something unnatural. We’re so used to making art on the fly! Ideas come out of nowhere and there we are with our art tools drawing out the art. It’s actually that simple! Yet one must delve out of their comfort zone if they wish to evolve. So evolve young artist! Introduce the aspect of a plan using a script and you throw an artist out of his comfort zone. Suddenly he’s forced to change himself. To adapt to a specific way of doing things. To follow a charted direction as opposed to abruptly changing a creative direction. Every comic artist has to go through this. It’s the difference between drawing a comic and the other conventional forms of art. Once the script is done, get a second opinion on it! Seriously, do it. You might think your story is great because you wrote it but due to your love for your project, you will ultimately be blind to it’s flaws. I made this a big priority. A lot of my friends & family are witness to this. Needless to say I pestered and bombarded them to read my scripts and point out the plot holes in my story. For anyone just starting their journey in writing, I strongly advice this. I learned a lot from that one stage of the comic making process. The script has to be scrutinized by a completely independent person. It has to be in plain words, no illustrations to make it universal so that any literature buff out there can read it like a normal script. Listen to the comments you get from the book, improve and correct where necessary and move on to the next step. Do not spend too much time editing and correcting, or else you’ll take years to finish that book. In the next stage begin the concept work for the book. Get ideas from everywhere. Be it games or movies, the list is endless. Remember all those people that tell you playing PlayStation games and watching all those movies is bad for you? We’ll guess what? It’s not. If you watch those movies and play those computer games with the aim of gaining ideas and valuable knowledge you can adapt and enrich your artistic self, then you might actually learn something .Sadly that isn’t the case with most people. The book required lots of sketching. Sketching will have to become a part of who you are. There is no short cut around it.You must exercise those sketching muscles because illustrating dozens of pages isn’t easy. When you get to the point of where you actually start enjoying sketching, then you can move on to the next stage of making the book you want. Here’s a brief glimpse of how my own sketches look like, before and after. Sorry if the images weren’t taken in the best resolution, but you get the idea. As you might have noticed, my sketches are quite crude. I do them in ink. Why? Its an old habit I picked up. It just seemed cleaner and more permanent compared to my pencil sketches. So pick what works for you. Here’s more sketches below to keep you busy! Until next time. Cheers! For years I spent many days & nights drawing out random cartoons & comic art. I was that guy that would draw out cartoons at the back of an exercise book and land myself a good beating from the class teacher when he/she got bombarded by those drawings while marking the usual class assignment. Still I never stopped drawing…In fact it got worse…the urge to draw could not be extinguished. 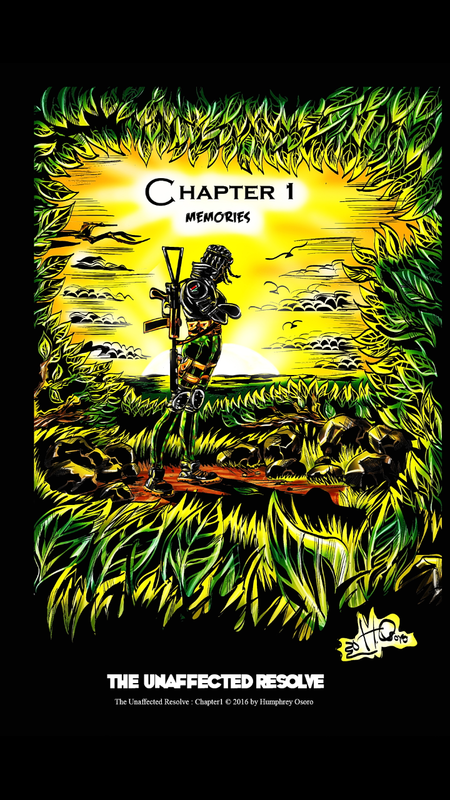 The idea for the book finally came to me in highschool when a good friend of mine showed me a local Kenyan comic that a guy had made and published himself …and it hit me…Of all the art I’d made over the years, I had virtually nothing to show for it. Most of the artworks had either been given away as presents to friends and family or either gotten sold over the course of time. 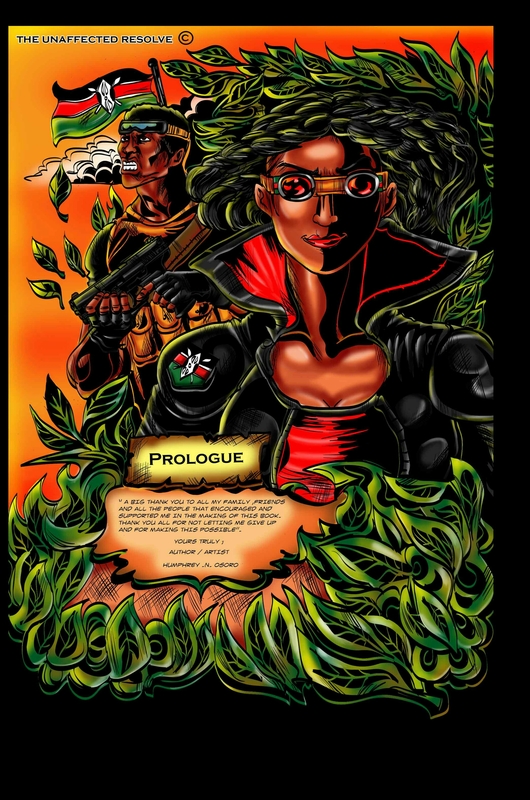 So I embarked on creating the book. Lots of concept work and writing later and the book is finally here ! 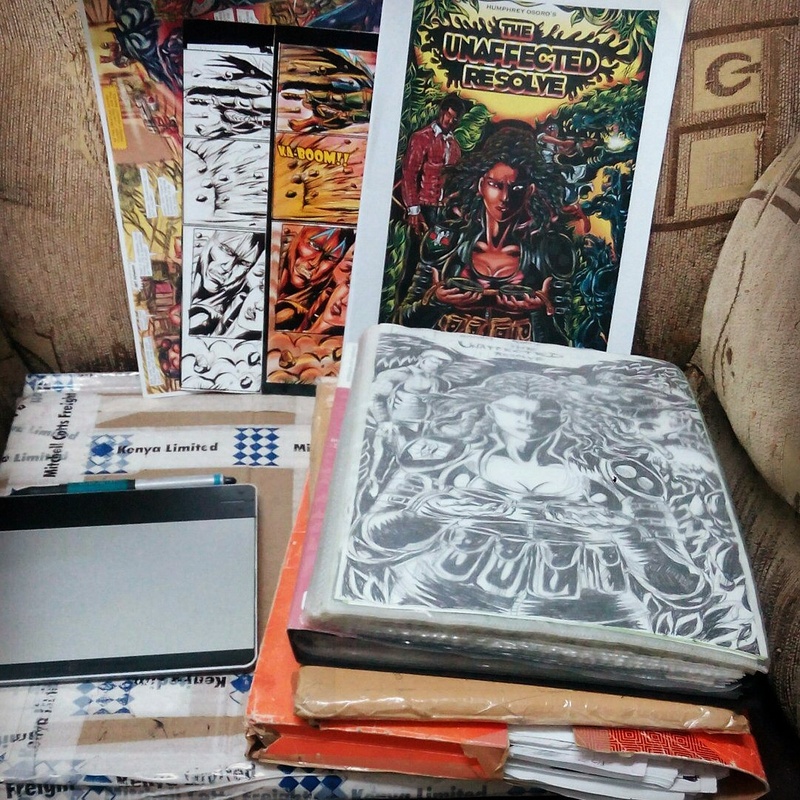 Available online at the 254comics website at https://www.254comics.com/comics/unaffectedresolve_1 . 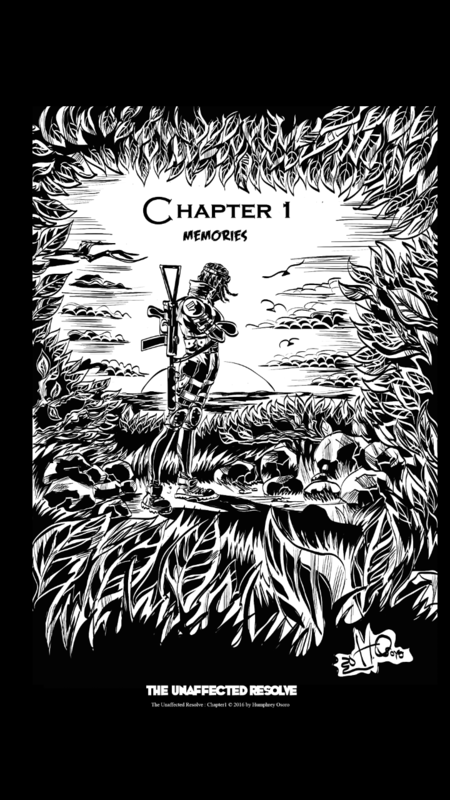 Join me as i embark on this comic making journey! 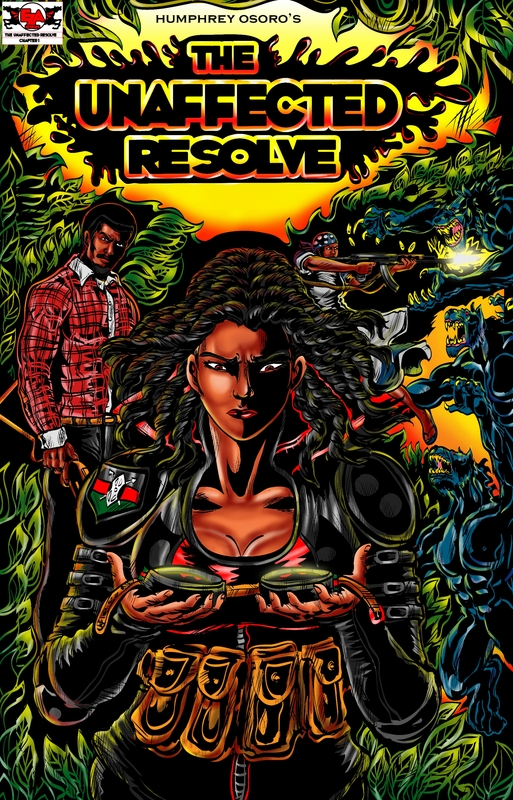 The Unaffected Resolve is an ongoing fantasy/action graphic novel series that takes you into the mind of Lisa Sagini, a lieutenant in the Kenyan army, her apprentice ,Orville Mukau, and the mysterious cat creature that accompanies them through their adventures as they try to survive the horrors thrown against them, and to do that, they must have a resolve stronger than steel. It must be …Unaffected. Follow the saga to find out what happens next in part2!